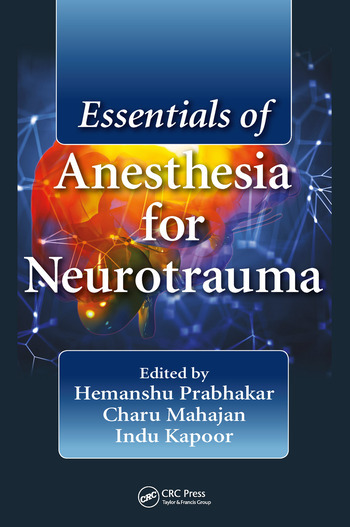 This book aims to provide an overview of the basics of anesthesia for neurotrauma. It showcases how management of different neurotrauma cases may differ, especially those involving spine and or polytrauma. 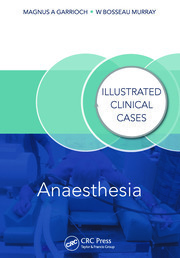 It provides quick and easy access to understand anesthesia for neurotrauma. Hemanshu Prabhakar: is an Additional Professor in the Department of Neuroanesthesiology and Critical Care at All India Institute of Medical Sciences (AIIMS), New Delhi, India. He received his training in Neuroanesthesia in the same institute. Recently, he completed his PhD, and now has the honor of being the first PhD (Neuroanesthesia) in the country. He is the recipient of the AIIMS Excellence award for notable contribution in academics. He has more than 200 publications to his credit. He is a reviewer for various national and international journals. He is also a review author for the Cochrane Collaboration and has special interest in evidence based practice of neuroanesthesia. He is a member of various neuroanesthesia societies and past Secretary of the Indian Society of Neuroanesthesia and Critical Care. He is an invited faculty for numerous conferences and is on the Editorial Board of the Indian Journal of Palliative care and is the executive editor of the Journal of Neuroanaesthesiology and Critical Care. He has contributed chapters to many books. He is the editor of the books ‘Complications in Neuroanesthesia’ and ‘Essentials of Neuroanesthesia’ published by Elsevier Inc. USA. 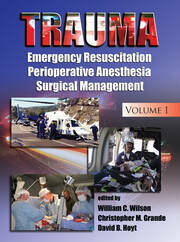 He is also the editor of the book ‘Manual of Neuroanesthesia’ to be published by Taylor and Francis, CRC Press. Charu Mahajan: is an Assistant Professor in the Department of Neuroanaesthesiology and Critical Care at the All India Institute of Medical Sciences (AIIMS), New Delhi, India. After completing MD Anaesthesia, she did her DM Neuroanaesthesia course at AIIMS and later joined as faculty in the parent department. She has over 50 publications in various national and international journals of repute. She is a review author for the Cochrane Collaboration. She has also co-edited the book "Manual of Neuroanaesthesia" to be published by Taylor and Francis, CRC press. She has authored chapters in many books and has received numerous awards for scientific paper presentations. She is also a member of various societies and is a reviewer for reputed journals. Indu Kapoor: is an Assistant Professor in Neuroanesthesiology and Critical Care at All India Institute of Medical Sciences (AIIMS), New Delhi, India. She received her training in neuroanesthesia in the same institute. She is the recipient of ‘Dr. T N JHA Memorial award’ awarded by the Indian Society of Anesthesiologists [ISA] for state and national level at Delhi and Chennai 2009. She has also received ‘SMT. Chandra and SH. Narayan Wadhwani Memorial award’ for ‘Best outgoing Postgraduate in Anesthesia’ in University College of Medical Sciences, Delhi in year 2010. She has over 25 publications in national and international journals to her credit. She is a reviewer for national journals too. She is also a review author for the Cochrane Collaboration and has special interest in evidence based practice of neuroanesthesia. She is a member of various national societies. She is an invited faculty for various national conferences. She has contributed chapters to various national and International books. 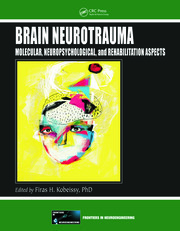 "This book provides an organized overview, performing well as the student’s single resource on neurotrauma." Jarva Chow, Department of Anesthesiology Loyola University Medical Center Maywood, Illinois.